“Journey into Consciousness is more than a concept of spiritual life – it is both a sharing of one woman’s experience through the lens of living out her sacred contract in this lifetime and a guide to doing the same in your own life. We are each given the energies, challenges, and gifts needed to assist us in carrying out the work we are here to accomplish. Shelly’s ability to see her life through the eye of a sacred contract no doubt shifted emotions, beliefs and sensations about who she is. The journey into consciousness is one of both healing and awakening. There is an element of each in Shelly’s story. As a spiritual teacher for our time, she goes on to share tools that are simple in nature, but mystical in their power to transform your life. Using her own life experience and the wisdom of her spirit, coupled with a regular spiritual practice, Shelly offers a new way of seeing yourself. There are powerful affirmations, meditations and suggestions for releasing points of stagnancy on your journey. 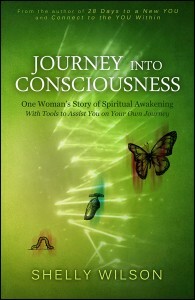 Journey into Consciousness is not only one woman’s story, but also a powerful tool to assist you in opening your heart, mind and spirit to all that is possible. Shelly is a powerhouse of positive vibrations, spiritual support and encouragement. 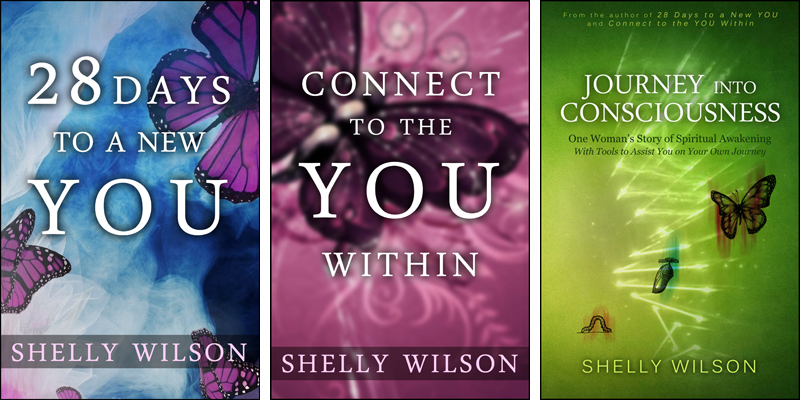 “Journey into Consciousness is the fascinating story of Shelly Wilson’s journey into spiritual enlightenment. Shelly takes the reader on an emotional roller-coaster ride as she vividly recalls the momentous events in her life, beginning with her early childhood years. Shelly courageously bares her soul as she describes the sorrowful incidents that defined her life during a time when she concedes that she merely “existed.” It is easy to empathize with Shelly since most of us have experienced similar events in our own lives. Shelly is a warrior – she never gives up – and this determination allowed her to expand her consciousness and spiritual awareness, so that she could start to “live” and not just “exist.” With a lot of hard work and persistence, she re-created herself into the happy and fulfilled spouse, mother, and intuitive medium she is today. And the good news for all of us is that we can learn much from Shelly’s journey as we strive to reshape our own lives for the better.